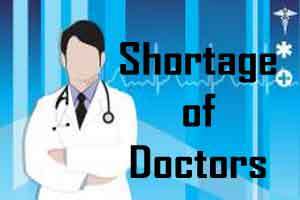 Shimla: The Himachal Pradesh government on Tuesday assured the Assembly that all deputation of doctors to outside the state would be cancelled as more than 3,083 posts of doctors and paramedics are vacant in the state. This was stated by Health Minister Vipin Singh Parmar while responding volley of queries regarding shortage of doctors in Question Hour. Taking the notice of members that number of doctors who are serving in the state health institution on the border are also serving in the private clinics or running them to be taken care off. If any member would give him detail of such self style doctors who are posted on the borders but running private clinics or serving there would be taken action, the Minister added. The BJP member from Paonta Sahib, Sukh Ram alleged that many doctors are on deputation outside the states however leading to shortage in the health institution should not be allowed by the government. Vikaram Jaryal from Bhatiyat alleged that many doctors posted on the border health institutions were running private clinics and serving in private hospitals defying the government norms. The Health Minister, assuring the members to take action on the matter, said member is right for some extent and after verifying the fact he would order to cancel all such deputation. Government has sent requisition to fill up the 868 paramedics to Subordinate selection commission Hamirpur. The Minister added that as many as 155 posts of doctors and paramedics are laying vacant at Regional Hospital Hamirpur including post of Chief Medical Officer. The State government would set up Dialysis unit in all major Referral Hospital as tenders have been floated for Dharmshala, Kullu, Mandi moreover the process for bidding would be begin for DDU hospital Shimla and Sirmaur. The State government would set up a dialysis unit on PPP mode and it would not be handed over to private firm completely. All the dialysis units are being funded by the Union government. Mr Parmar also told the house that during last three months as many as 262 posts of doctors were created on the walk in interview basis and the process of filling of such post is constant process and state government would provide posts of doctors or paramedics on continuity basis. Rejecting the charges of Rakesh Pathania of Nurpur, the Minister said the government was filling post of faculty members of Medical College Chamba, Nahan and Hamirpur on the priority basis and no doctors and paramedics have been shifted from the existing Medical colleges and Civil Hospital. The government was creating all fresh posts and most of doctors who are qualified for the supper-speciality are recruited from outside the state, Minister also said that Former UPA government dedicated to the people online without creating no new post of paramedics. Now BJP government is creating such posts as the Tanda Medical colleges were run by the only 198 paramedics. The state government is bound to fill the most of faculty member as state as after MCI visits state have bound to fill such posts. He said that team of MCI is today visiting the Ner Choke Medical College and state government would also entertained its recommendation. The Minister, however, said the previous Congress government opened and upgraded health institutions without following the minimum parameters in mind. Jai Ram Thakur government would post doctors and staff in such institution before reviewing such decisions. Chief Minister Jai Ram Thakur also told the member that government would appoints medical staff sufficiently in those health institutions after taking the priority of MLAs. He urged member of house to send him least of such institutions where out door patients suffering without having the sufficient posts doctors and paramedics. Since last Congress government created the chaos in the entire health system without following the procedural formalities during the election. Rajinder Rana of Sujjanpur, Narinder Thakur of Hamirpur, Harbans Rana of Nalagarah, Mohan Lal Bragta of Rohru, Subhash Thakur of Bilaspur, Rakesh Pathaniya of Nurpur, Pawan Kajol of Kangra, Sukh Ram of Poanta, Rakesh Jamwal of Sunderngar also raised the issue of vacancy of doctors and lack of dialysis units in their respective health institutions. Of no use..i am a medical officer working in a block of district chamba. We doctors cannot work at our designated stations simple reason being that we are deputed at the only civil hospital in our block. All the health care facilities which are to be dispensed at primary health levels are completely ignored by the senior respective authorities too result being the patients in interior areas are suffering. Kindly stop the deputation phenomenon.